Dealing in fiber phenolic laminates sheets and all types of items like gears, brakets, Round rollers and Cutting pcs any types. We are recognized as the prominent manufacturer, trader, exporter and supplier of a wide array of Phenolic Cotton Cloth Laminate Sheet. Our offered sheet is manufactured by our adroit professionals using quality assured basic material in compliance with set industry standards. Owing to its salient features, this sheet is highly demanded by the clients. Before the final delivery, this sheet is strictly checked by the quality controllers on various parameters. 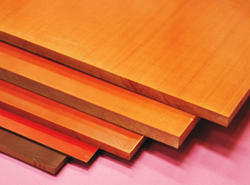 Our organization has gained recognition for providing premium quality Phenolic Paper Laminate Sheet. 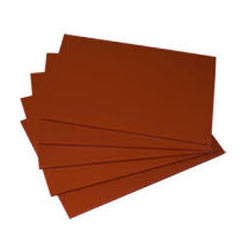 Used as insulation in electric industry and also as lamination in several other industries, offered laminate sheet is manufactured using the finest quality raw material and advanced technology under the guidance of skilled professionals. The provided laminate sheet is available in variegated sizes, designs and shapes as per the needs of the clients. Moreover, this laminate sheet is availed by our clients at affordable prices. 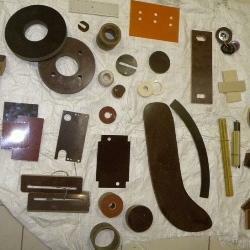 We have marked a distinct position in the market by offering superior quality Bakelite Sheets. Renowned for its paper base electrical insulating properties, offered sheets are manufactured using optimum quality raw material and ultra-modern technology in sync with industry norms. Our provided sheets are available in diversified shapes and sizes as per the requirements of the clients. Being client centric, our quality experts test these sheets so as to ensure their quality. Dear friends we make all types of fiber gear all types of industries like textile, pharma, camical, paper, plastic and printing. all size and all thickness. Red fiber sheets. 0. 4mm to 10mm thickness avelebale. we also provied in cutting pces. 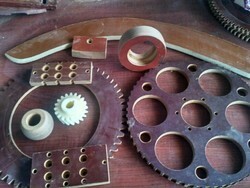 In also Cutting Size we sale and we also make gears and other items in it. ALL TYPES OF FIBER HYLAM PRODUCTS. 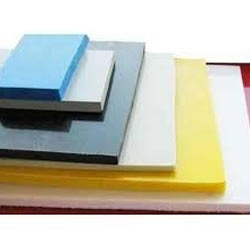 Phenolic sheet is a hard, dense material made by applying heat and pressure to layers of paper or glass cloth impregnated with synthetic resin. These layers of laminations are usually of cellulose paper, cotton fabrics, synthetic yarn fabrics . When heat and pressure are applied to the layers, a chemical reaction transforms the layers into a high-pressure thermosetting industrial laminated phenolic sheet. Our firm specializes in offering a distinct collection of Hylam Sheets. 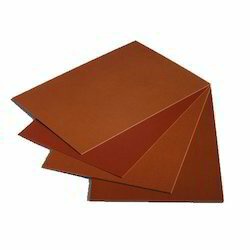 Used in low tension electrical applications under non humid atmosphere, our proficient professionals manufacture these sheets by making use of the latest technology and superior quality raw material. Furthermore, these sheets are appreciated in the market for its features like mechanical strength, heat resistance and low absorption of water. Clients can avail these sheets from us at market leading prices. like pati,gears, bracket, ring, blocks, strips and opener etcs. We match your requirement as per your drawings or sample. Owing to our experienced and highly qualified team of professionals, we are providing Cast Nylon Rods. Offered rods are manufactured using superior grade material keeping in mind the industry norms. Along with that, customers can avail these rods & sheets in different sizes and other related specifications in order to meet the varied requirements of customers. Ultra High Molecular Weight Polyethylene provides superior resistance to corrosion from chemicals and abrasive environments like sand and slurries when compared to other thermoplastics. It also offers exceptional impact resistance, even at cryogenic temperatures and is superior to stainless steel. Important characteristics of UHMPWE include low moisture absorption, good electrical and thermal insulation, FDA acceptance for natural (virgin) grades, self-lubrication and chemical inertness (except in some acids). All types of hylam fiber gears and products.